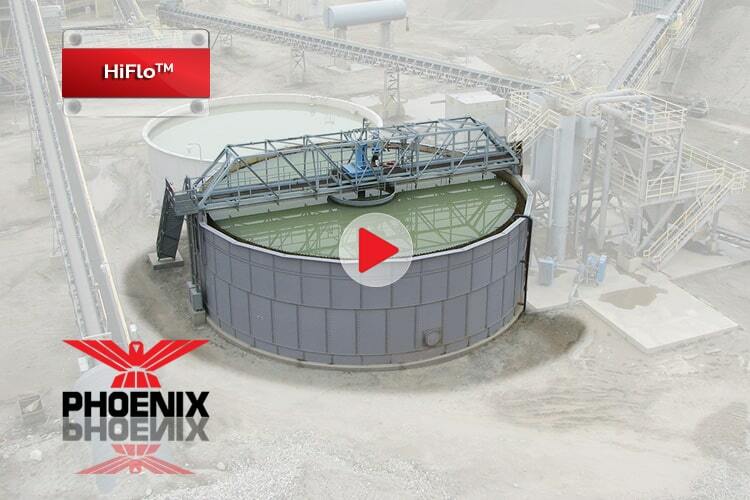 PHOENIX HiFlo™ High Rate Thickeners clarify wash plant effluent water while thickening the slurry to 40-45% solids, greatly reducing the underflow slurry rate to the slurry pond. 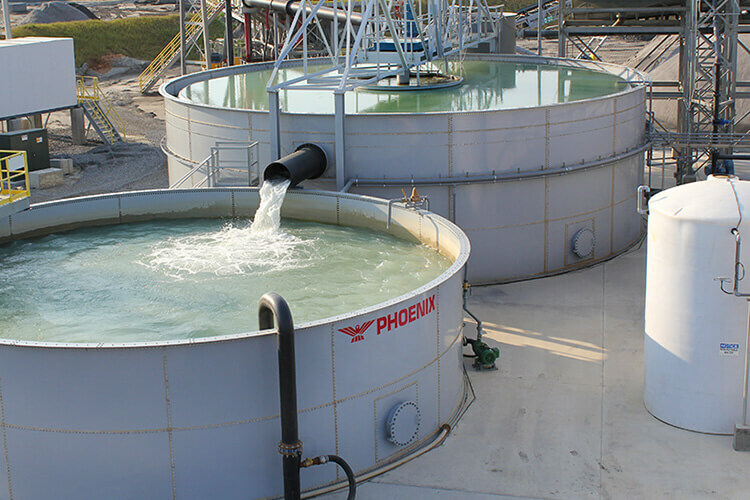 PHOENIX Thickeners use sedimentation technology to maximize the water recovery rate, providing clarified overflow water that can be recycled and reused in the process. 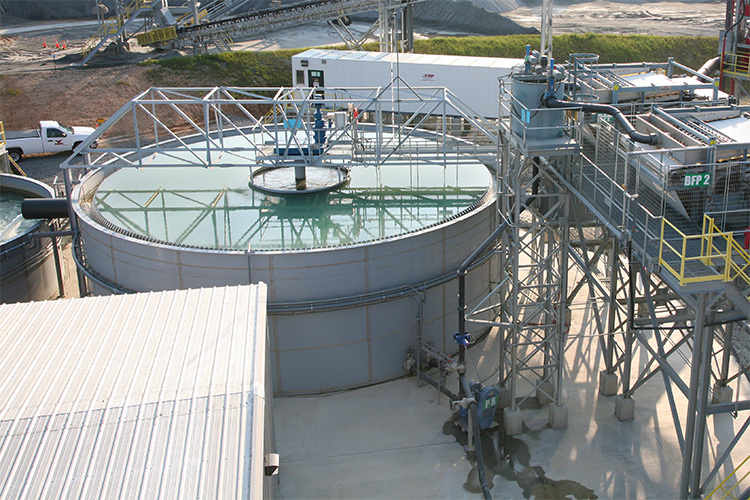 HiFlo™ High Rate Thickeners / Clarifiers provide rapid liquid-solid separation of high flow rates with optimum flocculation and adapts to process fluctuations. 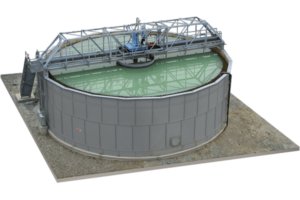 HiFlo™ Thickeners are available in several standard sizes & custom configurations including bolt-together tank, flat bottom, elevated tank, rake lift, and embeeded stave. 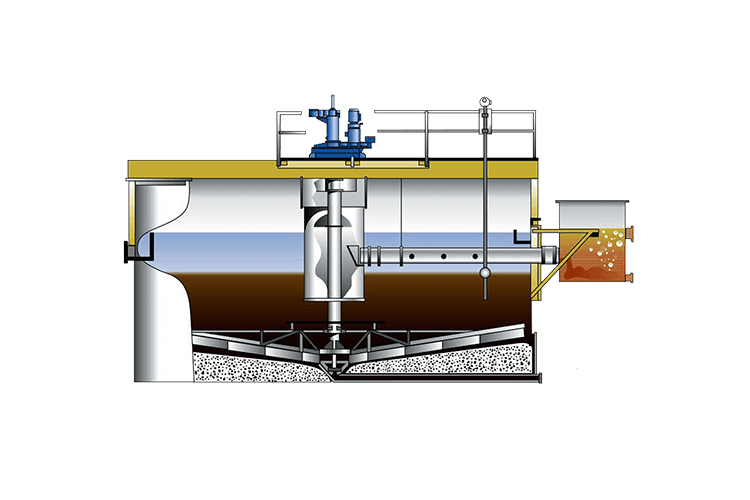 For complete elimination of the slurry pond, a PHOENIX Belt Filter Press or Filter Press may be added downstream of the HiFlo™ Thickener to dewater the thickened slurry. 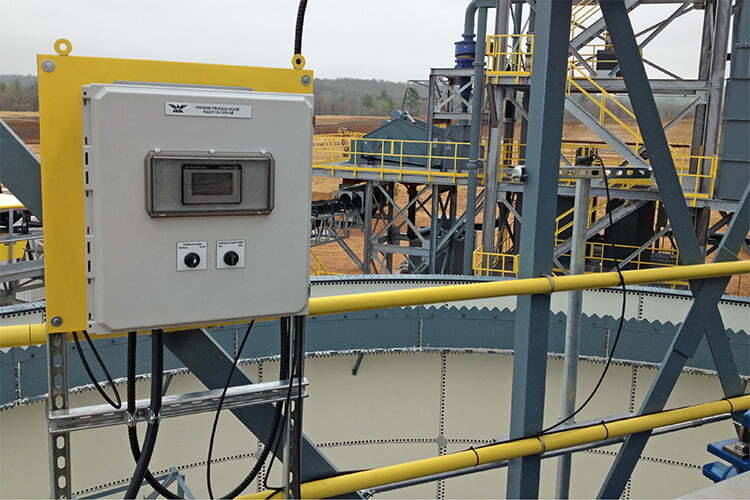 Dirty feed enters de-aeration tank. Polymer added to the feed through submerged pipe. 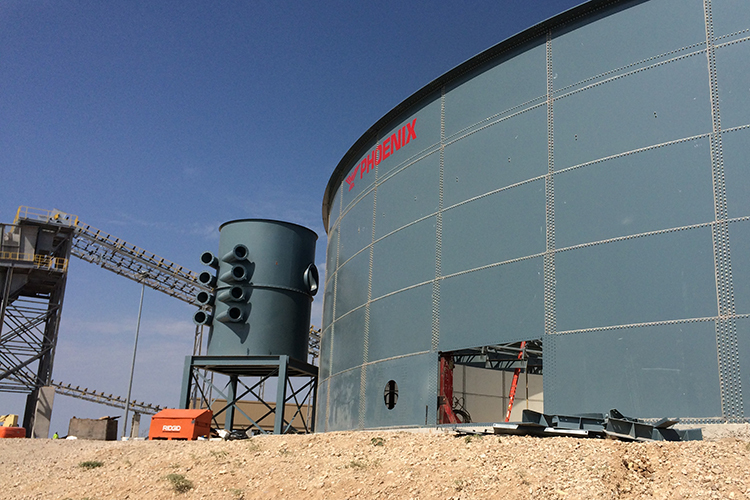 Treated feed enters center well. 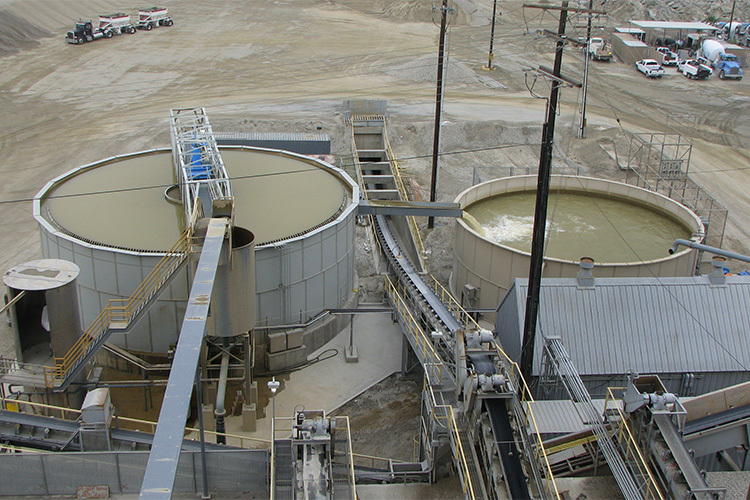 Flocculated solids settle to the bottom very rapidly, while rakes aid in compaction. 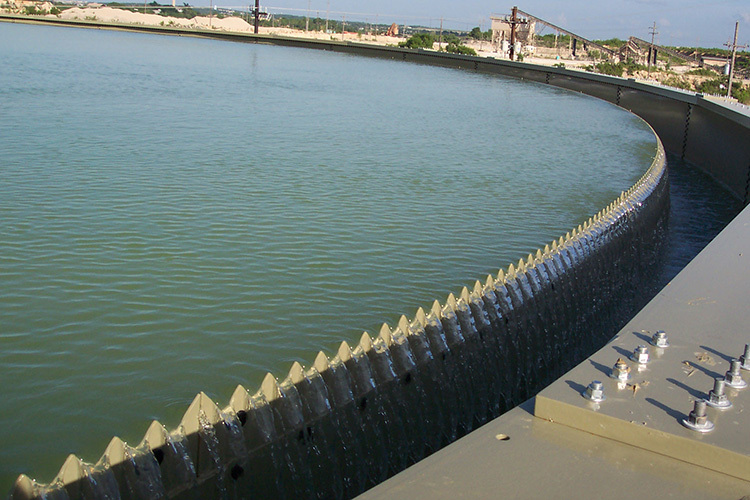 Clarified water overflows into a collection weir. 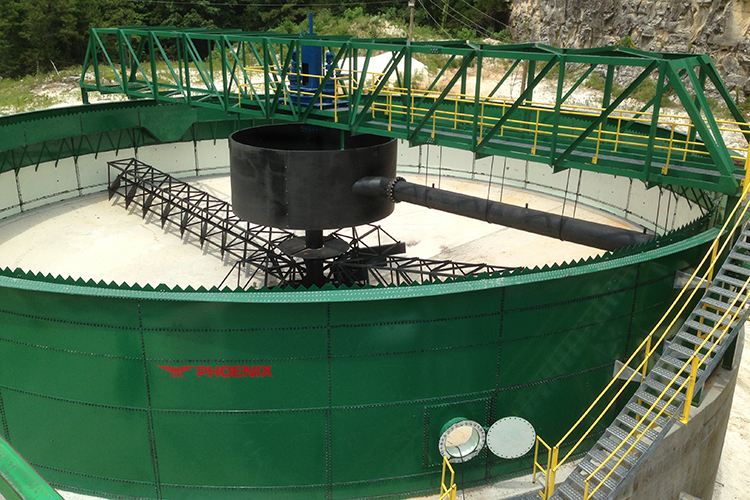 Concentrated solids are raked to the center and flow to a pump.